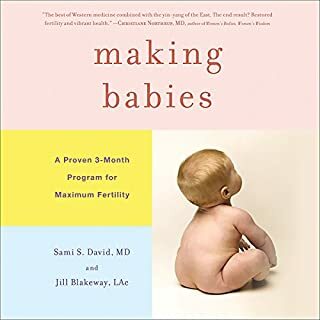 This book is a compilation of beneficial information on trying to conceive with fertility treatments, specifically in-vitro fertilization, and will guide you step-by-step on a journey through: the things to consider and the tests to do before deciding that you need fertility treatments; what you should expect at your initial fertility consultation; tips on how to choose the clinic that's right for you; and much more! 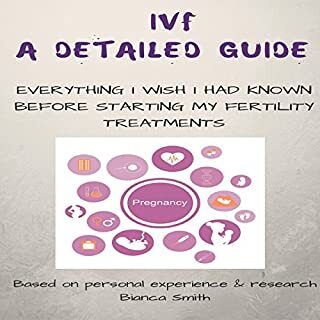 All the information in this IVF guide is based on Bianca's personal experience, research, and interviews with other women who have been through fertility treatments. Learn about the development of In Vitro Fertization with iMinds insightful audio knowledge series. "In Vitro Fertilisation", also known as IVF, is concerned with enabling infertile couples to have children. As a result of IVF, thousands of couples and individuals have been able to fulfil their dream of procreating. To fully appreciate the complexities of IVF it is important to know the history of experiments in reproduction. 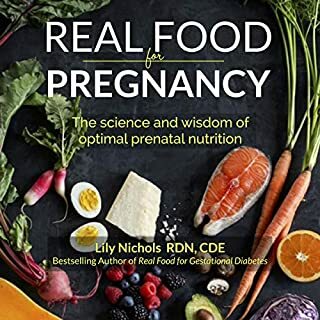 Part memoir, part guide, this personal and deeply informative account of one woman's gripping journey through the global fertility industry in search of the solution to her own "unexplained infertility" exposes eye-opening information about the medical, financial, legal, scientific, emotional, and ethical issues at stake. When Belle Boggs' "The Art of Waiting" was published in Orion in 2012, it went viral, leading to republication in Harper's Magazine and an interview on NPR's The Diane Rehm Show. In that heartbreaking essay, Boggs eloquently recounts her realization that she might never be able to conceive. She searches the apparently fertile world around her - the emergence of 13-year cicadas, the birth of eaglets near her rural home, and an unusual gorilla pregnancy at a local zoo - for signs that she is not alone. Want to boost your fertility and conceive with ease? 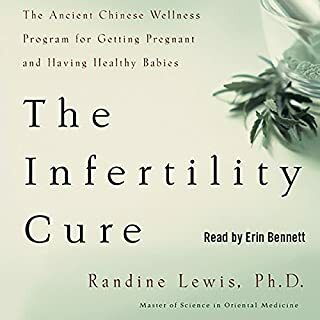 Best-selling Female Fertility is a deeply relaxing, effective and unique hypnotherapy audiobook which works to maximise your fertility and increase your chances of falling pregnant. The powerful hypnofertility recordings tap in to your subconscious, reducing any unconscious stress or anxiety and releasing negative thought patterns about conceiving. Whether you are trying to conceive naturally or through IVF, the quality of your eggs will have a powerful impact on how long it takes you to get pregnant and whether you face an increased risk of miscarriage. The latest scientific research has found that poor egg quality is in fact the single most important cause of age-related infertility, recurrent miscarriage, and failed IVF cycles. Based on a comprehensive investigation of a vast array of scientific research, It Starts with the Egg reveals a practical and evidence-backed approach for improving egg quality and fertility, now fully revised and updated in 2019. 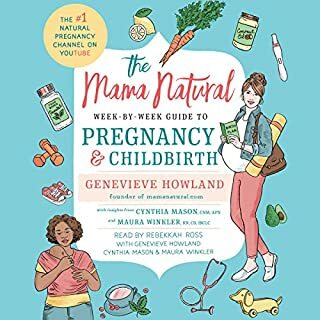 With a concrete strategy that includes minimizing exposure to toxins such as BPA and phthalates, choosing the right vitamins and supplements to safeguard developing eggs, and harnessing nutritional advice shown to boost IVF success rates, this audiobook offers practical solutions that will help you get pregnant faster and deliver a healthy baby. It sounds like Siri is reading the book to you. The content of the book is great, but the narrator sounds like a robot. I would recommend to get the hard copy instead of the audio book. The information is very good, but the voice of the audio is robotic in a way that your attention tends to drift. I think with a different presentation the audio book would be much more enjoyable. Imperative Title If You're Trying For A Baby! 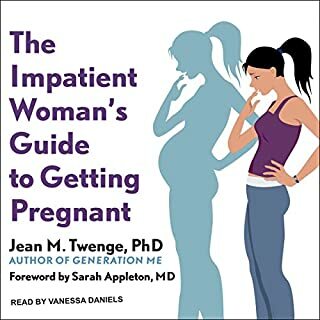 This audio book is amazing and if you're experiencing any aspect of infertility it gives you back a sense of control. 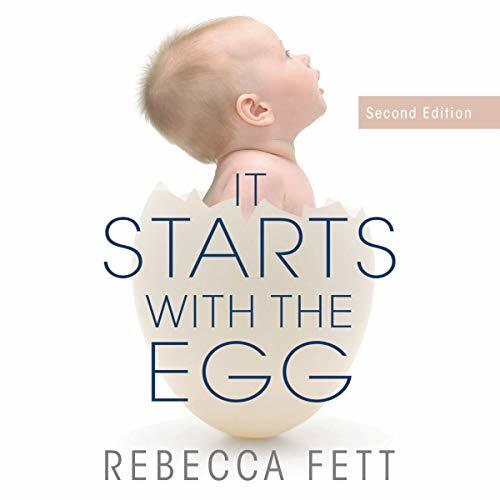 Rebecca steps you through the compelling research she has carefully pieced together and develops a step-by-step plan for women experiences all levels of infertility. Even if you've no known infertility issues and you'e just starting to try for a baby there is so much good advice. I've been following the programme for a number of months prior in preparation for IVF. One thing I've noticed is how great I feel in my every day life from following Rebecca's advice. Full of energy, mental and skin and hair looking great. I couldn't recommend this audio book more highly. I also have the paperback but I prefer the audio book as it is quite dense with information and I find the audio book easier to consume.